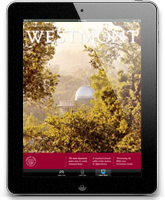 In 1950, Roger Voskuyl left a prestigious, secure position as dean of the faculty at Wheaton for the uncertainties of the presidency of the young and deeply troubled Westmont. The Westmont trustees had just fired then-president James Forrester. Between 1940 and 1950 Westmont had two presidents, two interim presidents, and a three-person executive committee. As a protest against the firing of Forrester and the supposed mistreatment of earlier presidents, nearly one-half of the faculty resigned. Many of them cited lack of confidence in the board as their reason for leaving. The school was heavily in debt and confusion reigned. Furthermore, student enrollment declined from a high of 324 in 1946-47 to 218 in 1950-51 . By any criteria, the future did not look very promising. As the new president of the college, Voskuyl faced a daunting task. 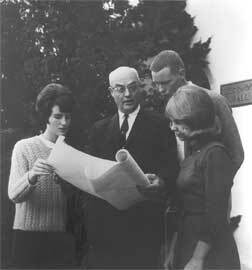 Throughout his 18-year presidency, Voskuyl established Westmont as the academically rigorous college envisioned by the founders. Although there continued to be faculty turnover, one of his greatest achievements was his ability to attract and keep qualified faculty. When he left, there were 14 professors who had taught at the college for 10 years or more. The number of faculty who held doctorates increased from 19 to 52 percent, a remarkable testimony to his ability to recruit well-trained staff. Many of those doctorates were earned by young faculty while they taught. Voskuyl also reversed the decline in enrollment. Accreditation by the Western College Association in 1958, the addition of a full-time director of admissions in 1959, and the construction of more adequate facilities helped enrollment reach 700 in 1968. Voskuyl’s prestige and commitment obviously appealed to Christian families. From its earliest days in Santa Barbara, the college was hard pressed to provide adequate facilities.Voskuyl may be best known as the builder of Westmont. Reviewing plans, breaking ground, and cutting ribbons became common celebrations during his tenure. In the 1960s, the college constructed the Nancy Voskuyl Prayer Chapel, Porter Hall of Fine Arts, Van Kampen Hall, Deborah Clark Halls, Roger John Voskuyl Library, Hugh Murchison Gymnasium complex, William Stratton Porter Center, and the first section of Armington halls. Altogether, almost $7 million went into campus construction, some by government loans and some by private gifts. Assets increased in value from $.5 million in 1950 to $10 million in 1968. Annual gifts increased from $103,000 to $1 million. 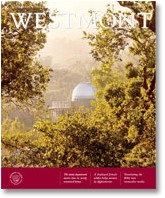 Editor’s Note: This is the first of a series of excerpts from Westmont histories written by Paul Wilt, professor emeritus of history and college archivist.